Colorful Aliens infiltrated the human planet, they have technologies that make it possible for them to live undetected among humans. Only in rare encounters the disguise would be lifted. The colored aliens were very friendly towards humans. But then mothership Arcturia entered the horizon. Cloaked between the clouds they slowly eliminated the colored alien visitors. They also stole their disguise technologies and used them for their own kind. this mod eliminates the colorful aliens and creates a new species called the GREYS. Create your own story for the disappearance of the friendly colored aliens, or just enjoy aliens that look like the greys that we know from movies or abduction stories. 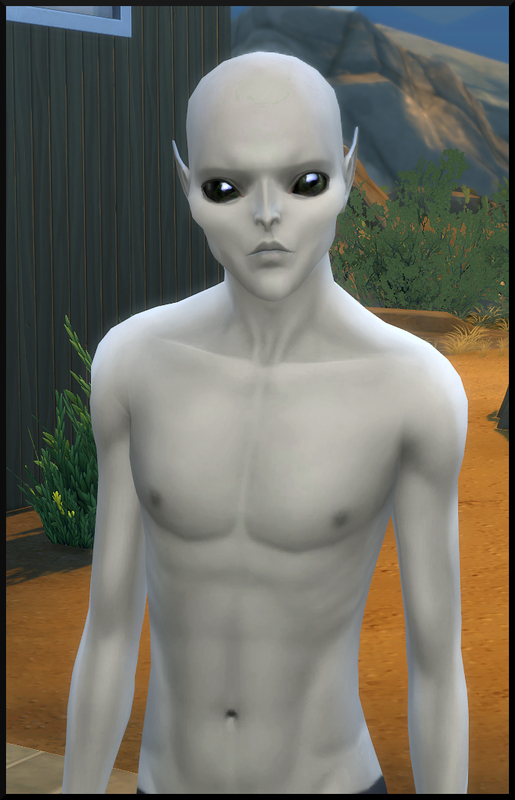 * Default Replacement Alien Skin (GREYS - Only pale skin) - This is a Default Replacement for the pale/white Alien skin. With this version all the other aliens stay colorful. Default Replacement_Alien_Skin (GREYS - Only pale skin).rar | Description: This is a Default Replacement for the pale/white Alien skin. Tanja1986DefaultAlieneyesGREYS_v2.rar | Description: Default GREY alien eyes, now compatible for toddlers!